Ezekiel 33:7-9 (ESV) 7 “So you, son of man, I have made a watchman for the house of Israel. Whenever you hear a word from my mouth, you shall give them warning from me. 8 If I say to the wicked, O wicked one, you shall surely die, and you do not speak to warn the wicked to turn from his way, that wicked person shall die in his iniquity, but his blood I will require at your hand. 9 But if you warn the wicked to turn from his way, and he does not turn from his way, that person shall die in his iniquity, but you will have delivered your soul. Romans 13:1-10 (ESV) 1 Let every person be subject to the governing authorities. For there is no authority except from God, and those that exist have been instituted by God. 2 Therefore whoever resists the authorities resists what God has appointed, and those who resist will incur judgment. 3 For rulers are not a terror to good conduct, but to bad. Would you have no fear of the one who is in authority? Then do what is good, and you will receive his approval, 4 for he is God’s servant for your good. But if you do wrong, be afraid, for he does not bear the sword in vain. For he is the servant of God, an avenger who carries out God’s wrath on the wrongdoer. 5 Therefore one must be in subjection, not only to avoid God’s wrath but also for the sake of conscience. 6 For because of this you also pay taxes, for the authorities are ministers of God, attending to this very thing. 7 Pay to all what is owed to them: taxes to whom taxes are owed, revenue to whom revenue is owed, respect to whom respect is owed, honor to whom honor is owed. 8 Owe no one anything, except to love each other, for the one who loves another has fulfilled the law. 9 For the commandments, “You shall not commit adultery, You shall not murder, You shall not steal, You shall not covet,” and any other commandment, are summed up in this word: “You shall love your neighbor as yourself.” 10 Love does no wrong to a neighbor; therefore love is the fulfilling of the law. As an ex-Evangelical, I can't begin to tell you how many times I've heard those passages misinterpreted and misused (how often I myself have misinterpreted and misused them!). 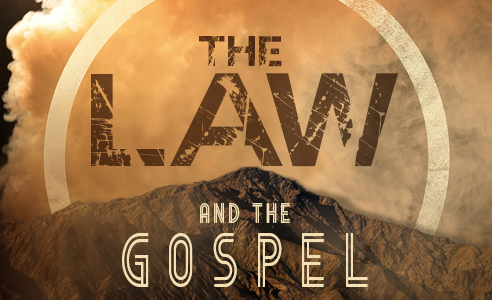 When Law and Gospel are properly distinguished, however, these passages beautifully communicate God's grace and mercy. Unfortunately, the sermon we heard at my LCMS church this morning didn't do any of that. In fact, it was so bad (a.k.a. non-Biblical and, therefore, non-Lutheran) that my own kids offered up their own commentary about it -- unprovoked -- as soon as we got into our car to leave. They're 9 and 8 years old. More on that later today perhaps. Please continue to pray that we find a faithful church nearby and soon. So, that being said, I needed to find a sermon online that more accurately reflected what it is that we all believe, teach, and confess that is in accordance with the holy Scriptures or "the faith that was once for all delivered to the saints" (Jude 1:3). Below is a sermon I found from way back in 2008 delivered by Pastor Tom Chryst at his Preachrblog. Today's reading really has four segments, each of which could be a sermon in itself. So as I struggled to choose a direction for our sermon today, I found myself looking for the common thread throughout this reading. And one word seems to stand out here: sin. Whoever causes a little one to sin – it would be better for him to have a millstone around his neck and be cast into the sea. If your eye causes you to sin – pluck it out. The one sheep out of a hundred is lost, because of sin. And the master seeks him out. And if your brother sins against you, go and tell him. Sins bound on earth are bound in heaven. Sins loosed on earth are loosed in heaven. Yes today Jesus is talking about sin. And if one thing is clear from all this, it's that sin is a big deal. It's a big deal for Jesus, and that makes it a big deal for us. It's a serious matter. One of the things we sinners like to do is minimize the seriousness of sin. It makes us feel better to think that our sins aren't really so bad. We minimize sin by comparing ourselves with other people, even with famous people. If they can get away with it, why can't we? If they're not so bad, then I'm ok too. Or – I'm not as bad as that person and my sins aren't as bad as her sins. But Jesus says the sinner should be concerned about his own eye, and the log there, rather than the speck in his neighbor's. In fact, if your eye causes you to sin, pluck it out! Another problem we have is that our culture has changed, and continues to change, in its views about sin. In fact, the word is hardly heard anymore in public discourse. This is just another way of minimizing sin. 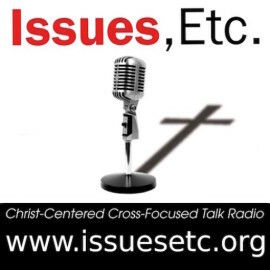 We hear about people's “mistakes” and “imperfections” and “character flaws” and “foibles”. But don't say the “S-word” or you'll be seen as a bible-thumping fanatic. Someone tell Jesus about that. Jesus isn't afraid to call sin what it is, and to warn us of its grave consequences. And I mean grave as in, it leads to the grave, and worse. For who doesn't deserve the millstone treatment? Who shouldn't be plucking out his eyes, cutting off his hands? Which of us isn't, in our sins, a lost sheep straying from the fold? The problem is, we can't swim hard enough to escape the millstone's weight. We can't find our way back to the fold precisely because we are lost. And we could cut off every member of our body involved in sin and we'd have no body left. For sinful man gets his sinful desires from the heart – and how can we live without that? No, a close and honest and scriptural view of sin and the sinner shows us that we are in big trouble, because sin is a big deal to God, and it should be to us too. It is no small thing, even the smallest of sins disqualifies us from paradise, and earns us the death sentence. But thanks be to God! He does not leave us in our sins. 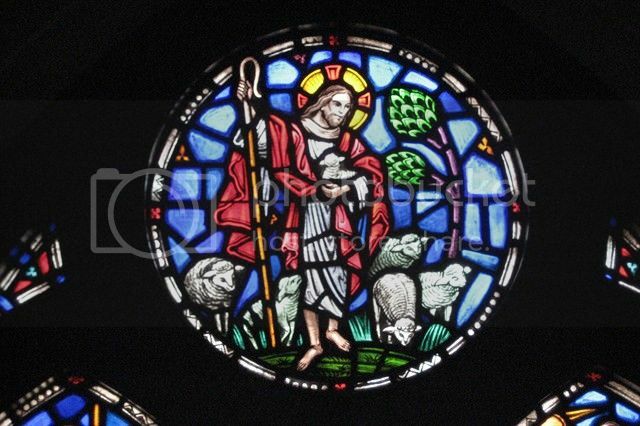 Jesus Christ, the Good Shepherd, seeks out the lost sheep. And we are all that one sheep out of 99. He comes not from the mountain but from heaven's high throne to seek and save us. Jesus Christ is the one who takes our place when it comes to the millstone. He is cast into the depths of God's wrath for our sin, only to rise from deep, dark death on that bright Easter morning. Jesus Christ is the one who cuts off not hand or plucks out eye, but gives his whole self – broken body and shed blood – as the sacrifice for our sins. And he gives us that same body and blood to sustain our faith so that we are never cut off from God's grace. Yes, sin is serious business for Jesus, and so much so that he goes to the cross, scorning its shame, bears the punishment of our sins, and defeats death head-on for us. And yet sin is still with us. Jesus words about sin are not only about how sin is a problem for us, and how he has come to save us from it. But Jesus wants his forgiven, blood-bought people to know the consequences and take it seriously too. Forgiveness is free, yes, but it is not cheap. He paid a dear cost for our salvation. Sin is to be taken as lightly as the blood of Christ – not lightly at all! And furthermore, he wants us to forgive each other. He wants us to apply the forgiveness he has given us to our brothers and sisters in the faith. Here we have the opportunity to forgive those who hurt and harm us – reconciling in peace for the sake of Christ. Matthew 18 should not simply be a slogan among us, but the real pattern of how God's people deal with each other's sins. When your brother sins against you, stop talking to him? No. When your brother sins against you, put him on your list of enemies? No. Take an ad out in the paper so everyone knows what he did? No. When he sins against you go ahead and get your revenge – do unto others as they have done unto you? Never. When sins happen, Christians seek reconciliation when possible. We seek out the sinner as Christ has sought us out. We win back the brother when possible, for the sake of Christ who has won us back from sin. And finally, the reminder that sins forgiven (loosed) on earth are truly forgiven in heaven. When a Christian forgives another Christian, that forgiveness is real. And when a pastor forgives the repentant sinner, it's as good as if Jesus did it himself. You can take that forgiveness “to the bank”. Because that's what Jesus promises. Yes, Jesus speaks of sin today in Matthew's Gospel, but Jesus never leaves sin as the final word. He, in fact, is the final word, the answer to and antidote for sin. 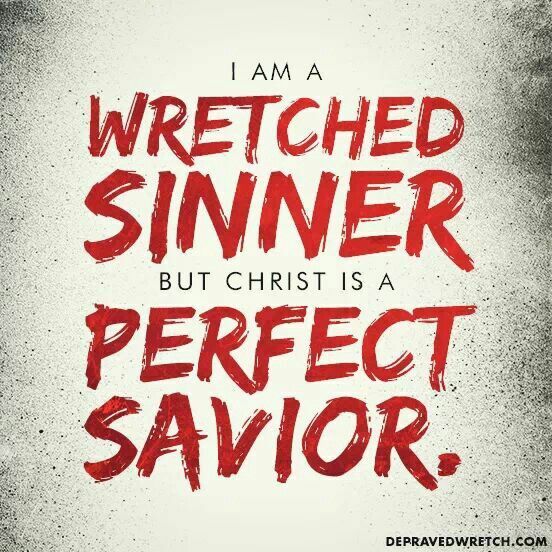 He is the savior from sin. And where sin and death go together, so do forgiveness and life. And though we sinners sin daily and sin much, Jesus forgives freely and forever. Sin is a big deal. But Jesus is a bigger deal. Thanks be to God for Jesus Christ, who deals with sin for us, forever. In him your sins are forgiven, now go and sin no more! Amen. Some final words on Matthew 18:1-20 from my Lutheran Study Bible. Jesus demonstrates that humility is the hallmark of greatness in the Kingdom of heaven. Humility means confessing our inability to do anything at all to become worthy before God and earn salvation. Humility depends entirely on God's mercy for forgiveness. It looks to Jesus Christ as the Savior who became one with sinners to redeem them. One need look no further than these words of Jesus to see how much the holy God hates sin. Here, the Law strikes us with all its fury. Who of us can say that our hand or foot or eye has not caused us to sin? We all deserve to be thrown into the hell of fire. Thank God that Jesus' hands and feet were pierced for our iniquities and that His eyes beheld our sin in order to turn the Father's face from it. By His wounds and precious death, we enter life. Jesus compares the Father's love for His little ones to that of a shepherd who left his 99 sheep to search for the one who went astray. Do we show similar concern when fellow Christians stray from faith in Christ? May we never despise one of the little ones for whom Christ died. God did everything He could to seek and save the lost. He spared not His only Son but gave Him up for us all. Jesus commands the Church to do all it can to regain an unrepentant sinner. To humbly and lovingly speak to such a brother or sister is to follow the example of the shepherd who searched for one lost sheep. Christ has promised to stand behind the actions of the Church in either forgiving or refusing to forgive sins. We need personally to cherish His gifts and to present His Law and Gospel to anyone caught in the grip of sin. Through the precious gift of forgiveness, the door of heaven is opened to each repentant sinner. Daily teach me, dear Jesus, to turn and become like a child. Holy Father, I confess my sins of thought and word and deed. Forgive me for Jesus' sake. Give me a heart, O Father, that cares about each of your little ones. Loving Lord, help me to act as my brother's keeper, even as You care for me and keep me by grace. Amen. Today's sermons (a study in contrasts) reminded me that Lutheran worship is supposed to focus on encountering Jesus Christ through the power of the Holy Spirit in the ministry of His Word and His Sacraments. We gather in worship to claim the promise of Jesus: "Where two or three are gathered in my name, I am there among them" (Matthew 18:20). 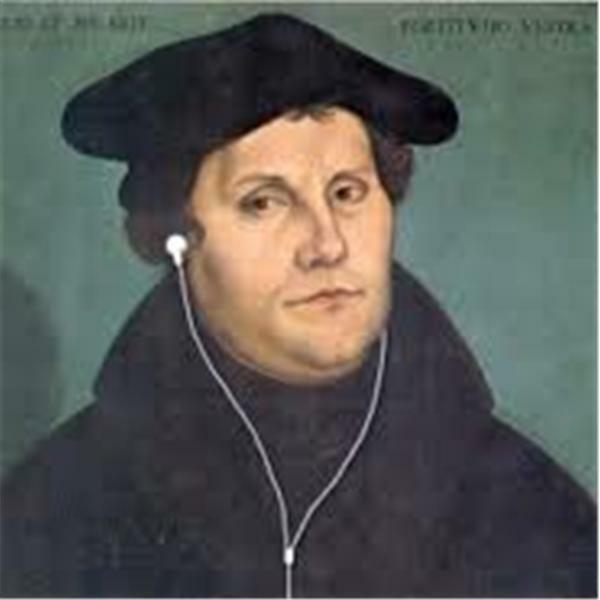 Today's sermons (a study in contrasts) reminded me that Lutheran worship is supposed to focus on God offering us His gifts of forgiveness, grace, love, and mercy through His Son, our Lord, Jesus Christ, and through His means of grace. We simply need to respond to Him with confession, faith, thankfulness, and praise. In a Lutheran layman's terms, today's sermons (a study in contrasts) reminded me how desperate I am for me and my family to find a faithful church where we can regularly hear faithful preaching about God's Word and receive God's Sacraments that are faithfully delivered to us. Even so, today's faithful sermon reminded me that I need to show concern for my dear brothers and sisters who have clearly strayed from the faith while also demonstrating forgiveness and patience as well. NOTE: As you know, I am a newly converted Confessional Lutheran who recently escaped American Evangelicalism. That being said, please contact me ASAP if you believe that any of my "old beliefs" seem to have crept their way into any of the material you see published here, and especially if any of the content is not consistent with our Confessions and Lutheran doctrine (in other words, if it's not consistent with God's Word, which our Confessions merely summarize and point us back to) so that I can correct those errors immediately and not lead any of His little ones astray (James 3:1). 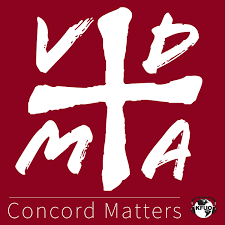 Finally, please be aware that you might also discover that some of the earlier pieces I wrote on this blog back in 2013 definitely fall into that category since I was a "Lutheran-In-Name-Only" at the time and was completely oblivious to the fact that a "Book of Concord" containing our Confessions even existed. In addition, there are some entries that are a little "out there" so-to-speak since the subject matter was also heavy influenced by common Evangelical concerns/criticisms that aren't that big a deal for us Lutherans. I know that now and I'm still learning. Anyway, I decided to leave those published posts up on this website and in cyberspace only because we now have this disclaimer and only to demonstrate the continuing work of Christ and the Holy Spirit in my life (Hebrews 12:2; Philippians 1:6). Finally, please know that any time we engage in commenting on and/or interpreting a specific portion of the holy Scriptures, it will always follow the verse-by-verse notes from my Lutheran Study Bible unless otherwise noted. Thank you for stopping by and thank you in advance for your time, help, and understanding. Grace and peace to you and yours!